A savings account calculator is used to help show you how much you need to save and how often your interest needs to be compounded to meet your financial goals. The more often interest is compounded the more money that is earned, so if it is compounded daily instead of yearly this can be a significant difference. If you have fixed rate savings accounts with a two percent interest rate and a one hundred thousand dollar balance, and you do not touch it for ten years, the difference in compounding frequency can add up to an additional two hundred and forty one dollars. 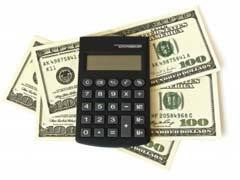 A savings account calculator will show how beneficial daily compounding can be. The best savings account interest rates can make a big difference in the interest that you earn. In the above example if the interest rate was two point five percent then you would earn an additional six thousand dollars in interest, with an additional four hundred and one dollars in your balance when the balance is compounded daily rather than yearly. A savings account calculator can help you see just how much more you can save when the compounding method is considered, and daily compounding is chosen. You can easily open savings account online to take advantage of some of the great rates offered. The difference between the savings shown by a savings account calculator when your interest is compounded daily may seem small, and in many cases will only be a fraction of a percent. As your account grows over the years though this fraction of a percent, this could result in hundreds of dollars or more extra. A high yield certificate of deposit that compounds daily can also be an excellent choice for any investor. Before opening any savings account make sure you know what the interest rate is as well as the frequency that the interest is compounded. This will help you find the best account for your financial and savings needs. Highest Interest Savings Account Online - What To Watch Out For?